The other day I just happened to be looking through ESRI’s ArcUser magazine (Winter 2018) while waiting for a process to finish on my computer, and came across an article on visualizing DEM using multidirectional hillshade - Create Amazing Hillshade Effects Quickly and Easily in ArcGIS Pro. Inspired by this article, I thought I would try do the same thing in QGIS 3.0. Below is a short tutorial on how to visualize a DEM in 3D with QGIS 3.0. I'm thinking that the more I use QGIS (especially the newest update) the more I like it. First, you'll need a DEM for your area of interest. 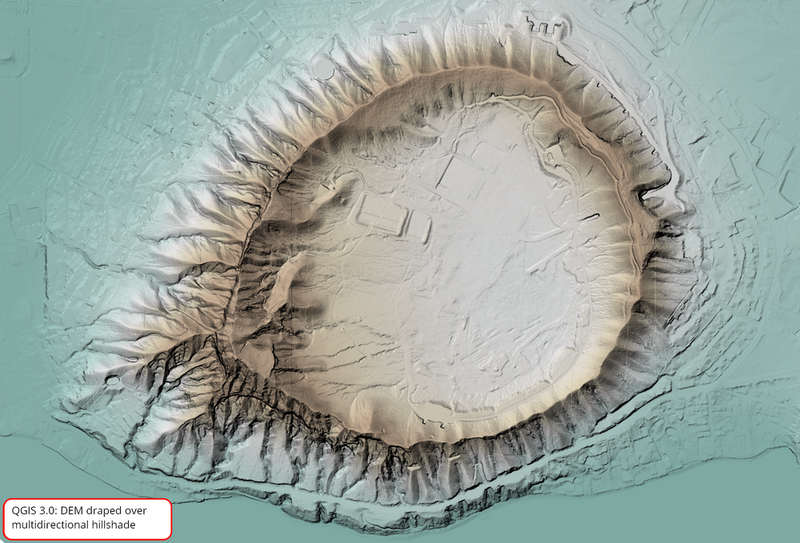 For this tutorial, I downloaded a 1 meter DEM for Diamond Head Crater from NOAA Data Access Viewer. Below is the specs I used for my download. 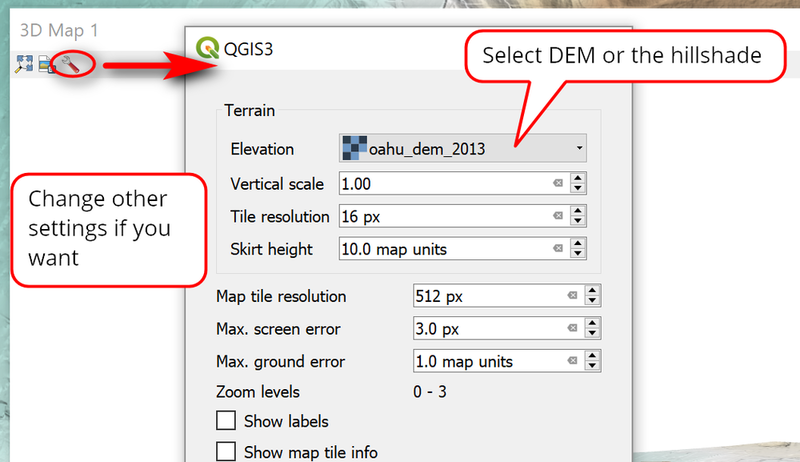 I am using QGIS 3.0 and I assume you have it installed already. So here's what you're going to do. First, add the DEM to the QGIS, then make a copy of it. You'll end up having 2 DEM layers for viewing purposes: 1) colored DEM used for drapping over 2) the hillshade. You are not actually creating a new layer or doing anything to the actual DEM. Turn off the top layer because you're going to create the hillshade effect on the second layer first. Resampling: Use either Bilinear or Cubic and Average to get a smoother looking hillshade. The default Natural Neighbor produced weird cross hatching effect. 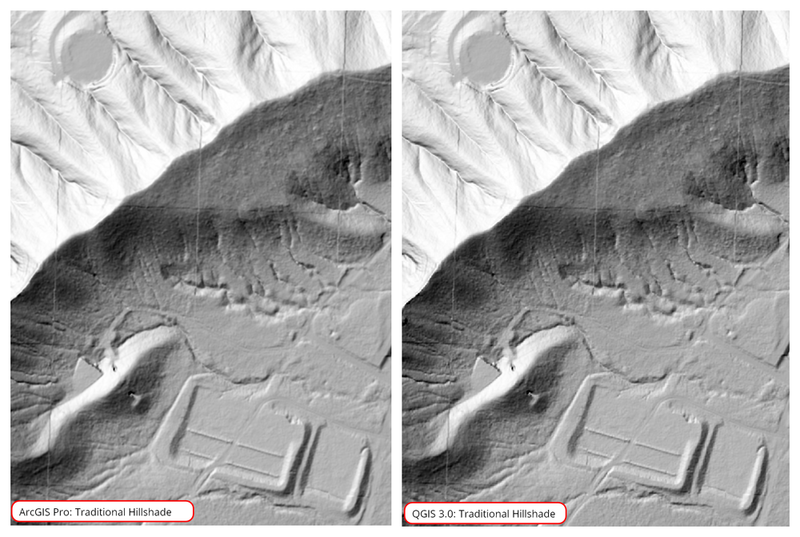 Try to see what happens when you checked (multidirectional hillshade) and unchecking (traditional hillshade) the Multidirectional hillshade box. 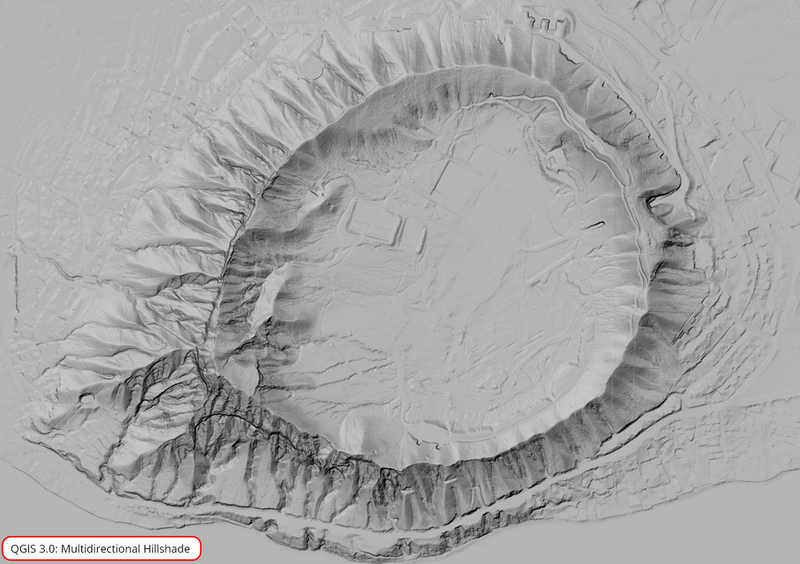 Here's are two views of a traditional hillshade and a multidirectional one. It looks to me like there is less shadowing in the multidirectional hillshade (which would make sense if illumination is coming from multiple directions) then the traditional one - this though I think makes it have less contrast (?) so things don't seem to pop out as much?? After you create the multidirectional hillshade, you're going to just change the color of the top DEM layer and "draped" it on top. Optional Transparency: change transparent if you want. I have it at 50%. Here is a view with the colored DEM draped over the multidirectional hillshade. Play around with the setting options to get your desired effect. 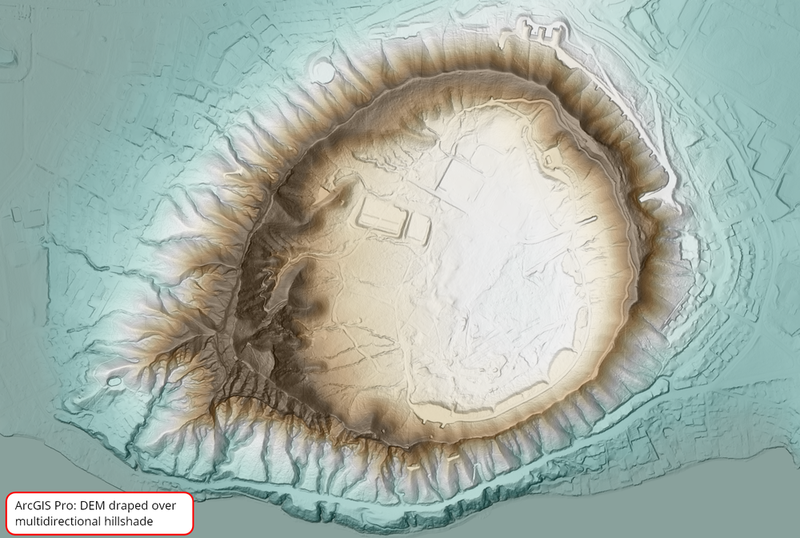 For comparison, here's the same view I did in ArcGIS Pro. Both results look really good - although I think ArcGIS Pro's multidirectional effect (using default settings) has a slight edge over the QGIS one (also using default settings). 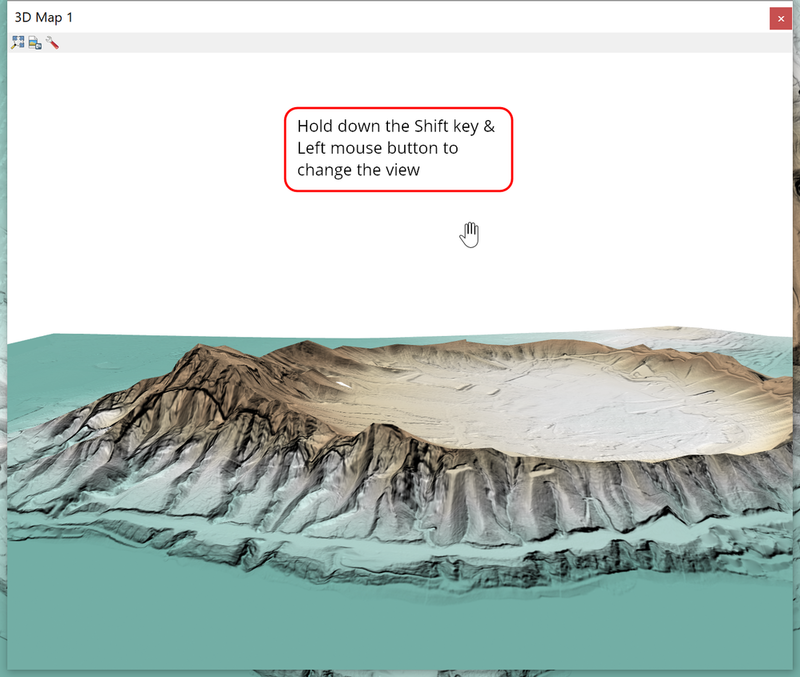 You can now view/simulate 3D landscape (DEM) in QGIS 3.0 natively without a plugin. Did you also know that you can customize the QGIS user interface by stacking and moving panels and map views around - try dragging and docking the panels in your user interface. The image below shows my user interface setup with the main map view or canvas on the left and the 3D Map view on the right. Here is one of my favorite 3D visualization where I burned (Blending mode = burn) an aerial (ESRI Aerial base map) into the multidirectional hillshade in QGIS. My conclusion having used the same method for 3D DEM visualization in both QGIS 3.0 and ArcGIS Pro is that they're both very good and comparable. 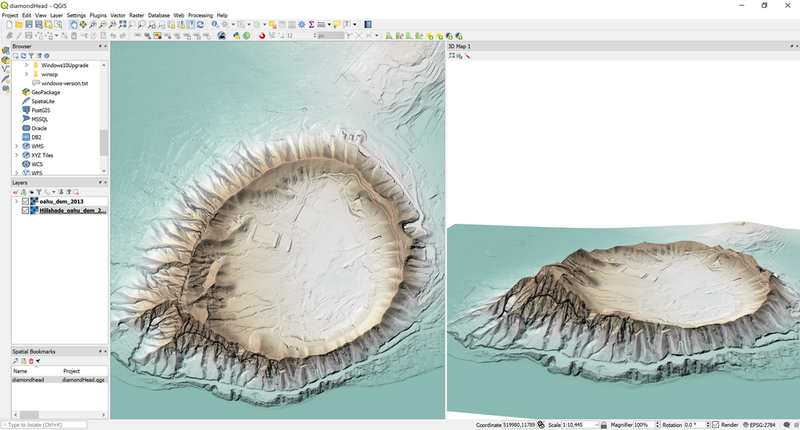 Of course you can do some comparisons and decide for yourself, but I think QGIS does a great job considering it is free. Anyway, below are some of my snapshots for comparison. That's it for this post. I hope you enjoyed reading it. Feel free to drop me a note in the comments section or via email anytime.